FlyWater’s assessment capabilities provide investigation, analysis, and evaluation of riverine habitats and resources. Our assessment of existing conditions help clients understand the value and potential of their conservation or recreation resources. Every great project begins with exceptional planning. For watershed conservation and fishery improvement projects, FlyWater employs the “measure twice, cut once” philosophy. We provide thorough planning and coordination to accurately estimate project costs and reduce project risk, uncertainty, and schedule delays. 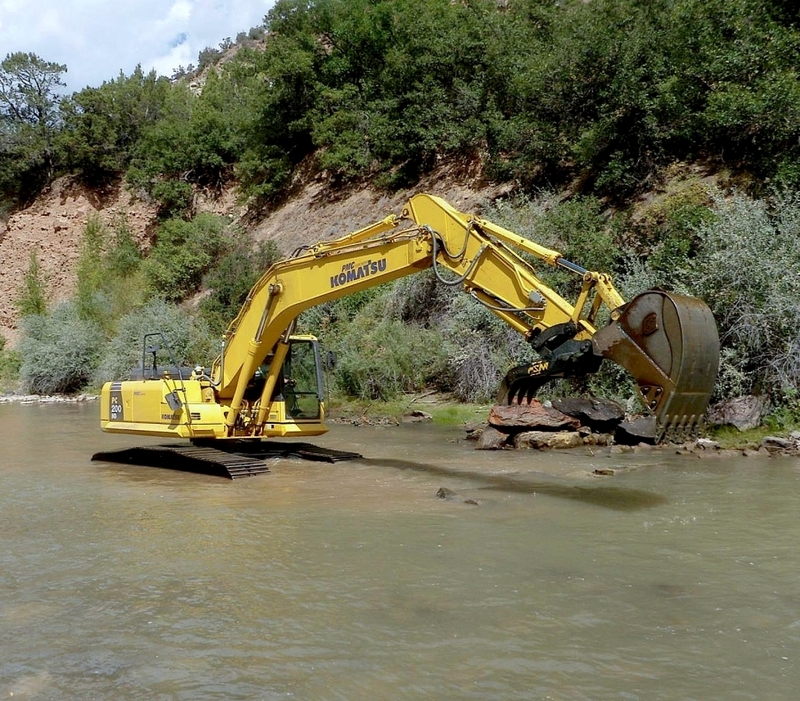 FlyWater’s innovative and creative designs coupled with its extensive river construction experience provide practical and effective solutions for the restoration, reclamation, and improvement of river systems. We have a reputation for completing projects on time and within budget, and the designs we produce create exceptional projects. 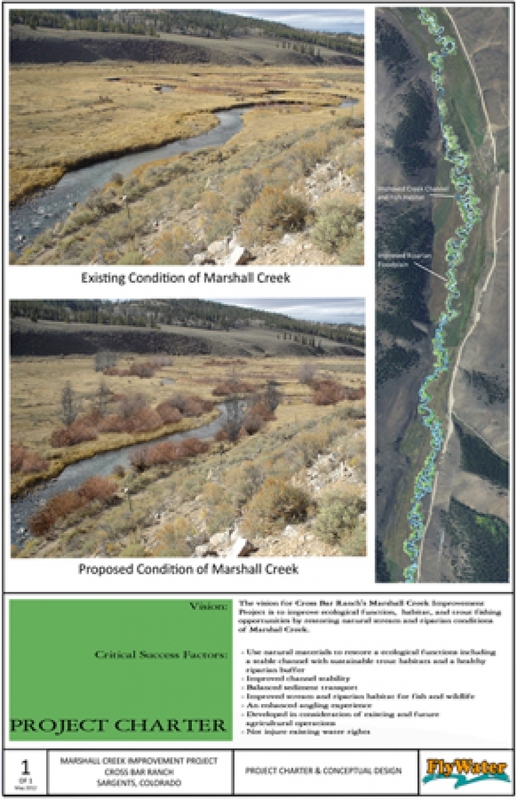 Whether in the aquatic or riparian floodplain environment, well planned and implemented regulatory compliance is critical to your successful enhancement, restoration, or mitigation project. 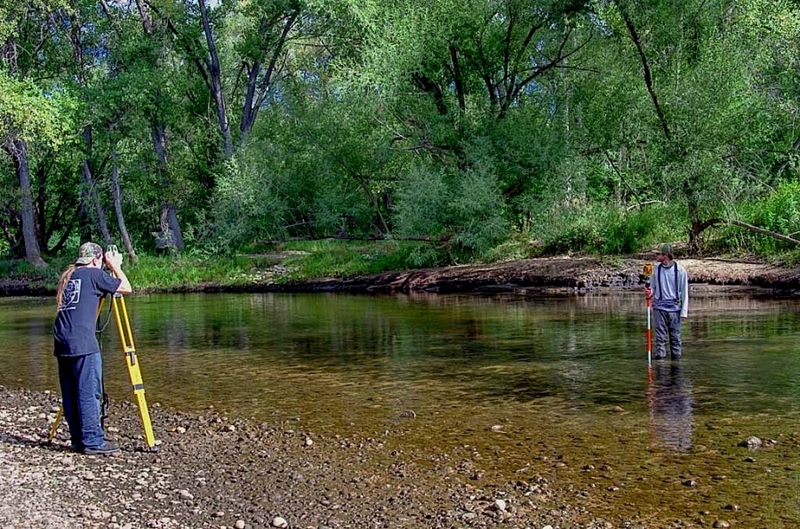 FlyWater’s experienced team of professionals are respected by the Federal, State, and local agencies that administer the permits for river, lake, wetland, and riparian floodplain projects. Knowing what is required and providing what is necessary, FlyWater manages your regulatory compliance needs; reducing liability and project risk. FlyWater's staff is comprised of highly experienced riverine operators who focus exclusively on building river projects. Whether constructing our own plans or those drafted by others, we are excited about the work we do and seeing projects built to design.